When instructors hear about some new technology, it’s not always clear how that technology might be used to support student learning. It’s often helpful to hear how others have used the technology. And sometimes a little experimentation is in order! We hope that this series will provide Vanderbilt faculty members and graduate students an opportunity to learn from each other as they explore creative and effective uses of educational technology in their own teaching. If you have a topic to recommend for the series, or would like to share your educational technology experiences, please contact us. Podcasts have been around since the early 2000s, but the medium has experienced remarkable growth in recent years, thanks to increasing smart phone adoption and to very popular podcasts like Serial and Radiolab. Educational uses of podcasts are growing, as well. Some instructors create podcasts for use in their courses, others assign podcasts as “texts” for students to listen and respond to. 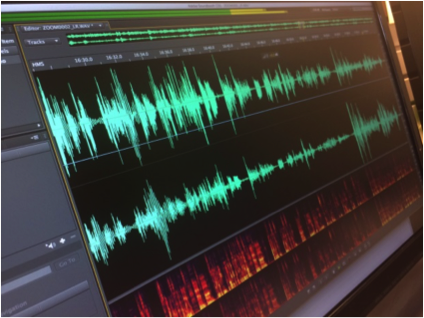 But with the ready availability of podcast creation tools, it’s easier than ever for instructors to ask students to produce podcasts, connecting students with authentic audiences for their academic work. In this conversation, we’ll hear from three instructors about their experiences with podcasts as course assignments. Panelists include John Sloop, professor of communication studies and associate provost for digital learning; Larisa DeSantis, assistant professor of earth and environmental studies; and Stacey M. Johnson, assistant director for educational technology at the Center for Teaching and senior lecturer of Spanish. The conversation will be moderated by Derek Bruff, director of the Center for Teaching. The conversation is co-sponsored by the Center for Teaching, the Vanderbilt Institute for Digital Learning, and the Center for Digital Humanities. Open to the Vanderbilt community. Registration required. Professor Foreman is the founding faculty director of the Colored Conventions Project, which since 2012 has made digitally available six decades of Black political organizing that overlapped with and was obscured by the abolitionist movement. The project has involved over 1000 students across the country in undergraduate research through its curriculum adopted by the Project’s national teaching partners while launching a transcription project recognized alongside those by the British Library and the Massachusetts Historical Society. She has also published extensively on race, slavery, and reform in the nineteenth century, creatively utilizing media to reach millions with her scholarly work. She has been a Kellogg National Leadership Program fellow, is currently a Ford Foundation Fellow, and co-founded Action for Social Change and Youth Empowerment, which provided in-depth training to cohorts of young people who then took seats on the Boards of Directors of leading and state-wide organizations. 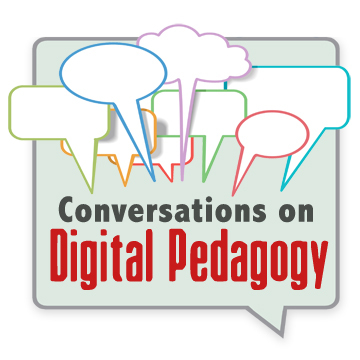 Topics for discussion at the Digital Pedagogy Lunch include: thoughts about digital pedagogy from the founders of HASTAC, “CCP in a box” – teaching protocols developed in concert with the Colored Conventions Project, and methods for opening projects to digital innovation more broadly. Time will be reserved for open conversation. 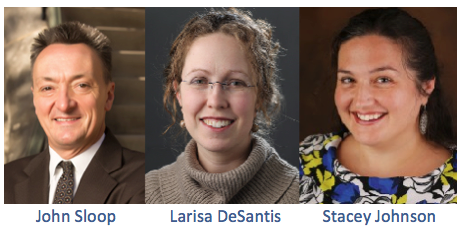 The Conversations on Digital Pedagogy series is co-sponsored by the Center for Digital Humanities, the Center for Teaching, and the Vanderbilt Institute for Digital Learning. 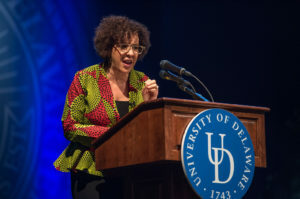 This session also connects to other events tied with Dr. Foreman’s visit, which is sponsored by The Center for Digital Humanities, Voices from Our America, The Curb Center, The Program in American Studies, The Bishop Joseph Johnson Black Cultural Center, and the English Graduate Students Association. For more information, please visit the Center for Digital Humanities website. Open to the Vanderbilt community. How often do you look something up online and inevitably stumble across Wikipedia? How often have you heard or experienced students using Wikipedia as a primary source of information in your course? Wikipedia has become a powerful influence for how people, including our students (and ourselves), gather new information online. But have you ever considered harnessing the power of Wikipedia for your classroom? In this year’s first session of the Conversations on Digital Pedagogy series, we have brought together three instructors from across campus who have used or are currently leveraging Wikipedia in their classrooms to talk about their and their students’ experiences with Wikipedia. In this conversation, we’ll hear from those instructors about ways their students are engaging with Wikipedia through projects, assignments, readings, and/or classroom activities, and the ways in which those instructors are using Wikipedia to help students achieve learning objectives. This session of the Conversations on Digital Pedagogy is co-sponsored by the Center for Teaching, the Center for Digital Humanities, and the Vanderbilt Institute for Digital Learning. This session also connects to the Wikipedia Edit-a-thons hosted by the Jean and Alexander Heard Library. For more information about the Edit-a-thons, please see their Wikipedia Page. Remember those timelines you saw in your history textbook back in middle school? Today’s digital timelines do far more than present a static, linear progression of dates and names. Online, interactive timelines support visually rich displays of information—text, images, multimedia, hyperlinks, even geospatial data—using spatial arrangements, categories, and color schemes to convey meaning. And thanks to tools like Tiki-Toki and TimelineJS, you and your students can produce your own online, interactive timelines with relative ease, even collaborating on a single, shared timeline. In this conversation, we’ll hear from three instructors about ways their students are creating, analyzing, and sharing timelines to understand events in their historical contexts, to identify themes and relationships among events, and to construct historical arguments. Panelists include Elizabeth Meadows, Senior Lecturer in English; Bryan Lowe, Assistant Professor of Religious Studies; and Jonathan Redding, PhD student in religion. The panel will be moderated by Derek Bruff, Director of the Center for Teaching. Elizabeth and Bryan participated in a working group on digital timelines organized by the Center for Teaching this year. Read more about the working group on Derek’s blog. When instructors think of educational technology used in the classroom, they tend to think of audio-video equipment like projectors and screens. However, there are other classroom technologies, ones that provide tools for engaging students in active learning during class. In-class polling systems, whether they use dedicated “clickers” or leverage students’ own mobile devices, enable instructors to rapidly collect and analyze student responses to multiple-choice and sometimes free-response questions. In this conversation, we’ll hear from three faculty who use in-class polling to address student misconceptions, surface student opinions and experiences, and foster critical thinking skills–and adjust their teaching on the fly to respond to student learning needs. Panelists include Shane Hutson, Associate Professor of Physics; Stephen Buckles, Senior Lecturer in Economics; and Sean Polyn, Assistant Professor of Psychology. Technologies to Support “Flipped” Classrooms. See this CFT blog post for highlights and resources from the conversation. See this VIDL blog post for highlights and resources from the conversation.